Engraved Dad/Father of the Bride Heart Slate Photo Frame. This amazing personalised photo frame measures 240 x 190mm. 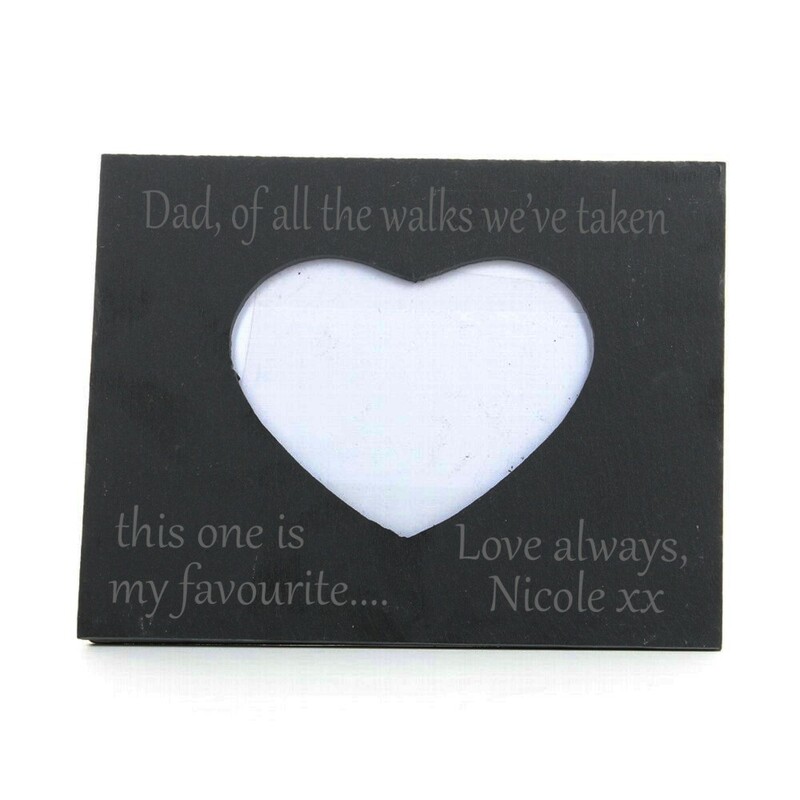 Can be engraved with 'Dad, of all the walks we've taken, this one is my favourite...' or you can have all your own text, just let us know the text you would like adding and we will get creating this special gift for you! A perfect gift for the Father of the bride or for Fathers Day to remind him of the special moment on your special day. A fantastic unique gift for all occasions ideal for a Birthdays, Fathers Day or Christmas gifts...it's endless! Please note that each piece of slate is unique. Each natural slate piece has imperfections, you may find colour blemishes, spot mottling, fine grey thread lines, fissures and cracks. These imperfections are what makes the slate have a rustic feel.